If you haven’t asked that, you’re in the minority – believe me! Figuring out how to make money after sign-up offers is something the vast majority of newcomers are puzzled by. The way we continue to make money online via the bookies is with something called reload offers. We’ll explain exactly what they are and give you a wide range of examples of reload offers within this post. 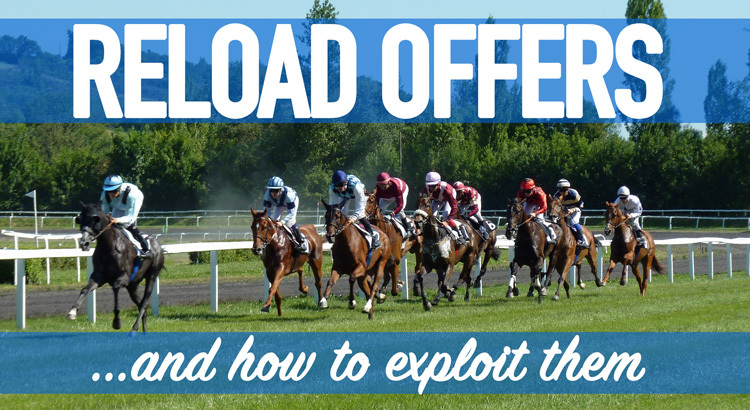 In the world of matched betting, when we say ‘reload offers’ we mean any form of promotion offered by a bookmaker or casino that is offered to existing customers. That’s right – not all offers are for new customers only. The vast majority are open to all! It’s just that the sign-up offers are commonly viewed as the ‘easiest’ money, which is why they’re a great way to build your bank to help you get started. It’s reloads that allow us to generate four-figure profits every single month. These reload offers can come in many different forms. If you deposit and bet X amount, you will receive a free bet worth Y amount. Sometimes you may have to complete a rollover before you can withdraw any winnings, but the general principle is what you see above. We’re now going to take a look at a variety of different promotions that you can typically expect to make money from on a daily or weekly basis. The most common form of sign-up offer is also a regular reload offer too. More often than not, these offers are all about accumulating small amounts of profit on a regular basis. Now, you could get this £5 free bet whilst completing other offers anyway – and you’re likely to do so in some, or even most, weeks. But even if you didn’t automatically get it, you could back and lay your £25 stake for a 50p loss fairly easily. You can then back and lay your £5 free bet for around £4 profit each week. This may seem like it’s not even worthwhile. For the week, you’re up £3.50 on that offer. However, that adds up to £182 profit in a year. When you factor in the other bookmakers that regularly run ‘Bet £10, Get £10’ type offers, or even those running similar free bet ‘clubs’, the weekly profit for these types of offers can easily be £20-£30 at a minimum. This works out to £1,040 – £1,560 a year. It just goes to show that even with the smallest of offers, the profit can still really rack up. Promotions in this category are not always small, either. Bet365, for example, run a ‘Bet £50, Get £50’ offer on a fairly regular basis. This offer can generate £35-£40 in profit on its own. Horse racing reloads are a regular occurrence; they run on a daily basis with a large number of bookmakers. This is a common offer and comes in differing forms. The most regular offer, particularly in big horse racing festivals, is a free bet refund if your horse finishes in second place. The average max stake for these is around £25. The trick with this offer is to just back and lay a horse – preferably the favourite or second favourite – and hope it comes second. If you can get on at low qualifying losses, and stick to races with only a small number of runners in (10 or fewer is ideal), you’ll likely hit a refund of £25 for every £5-6 spent. As you can generate £20-ish profit from a £25 free bet via backing and laying, using a matched betting calculator, this means you’re walking away with around £14-£15 profit overall every time you hit second place. Money back if your horse doesn’t win – this is the most profitable offer there is. If you don’t win, you get your money back – crazy! This is usually only found at events like the Cheltenham Festival. Money back if your horse finishes second to the favourite – similar to the offer we described in detail above, except it must finish second to the pre-race favourite. This trigger is more difficult to hit, so losses must be kept to a minimum. Beaten by a Length (BBL) – if your horse finishes second, and loses by less than a length, you will get a refund. On the flat races of 1 mile or shorter, this is a common occurrence. Offers like this can often be made risk-free. By overlaying our selection, we can ensure that we lose no money if the horse does not win. If the horse does win, we will lose a fair amount – usually at least a few pounds – but we’ll have a free bet of greater value that allows to lock in profits. Assuming you have a close match at odds as close to the required as possible, this will always be profitable. Whilst it is a horrible thing to ‘wish’ for the horse you’ve bet on to fall, it’s possible to exploit any bookmaker running this promotion. Back and lay for very small qualifying losses and this will be profitable on any race over fences. 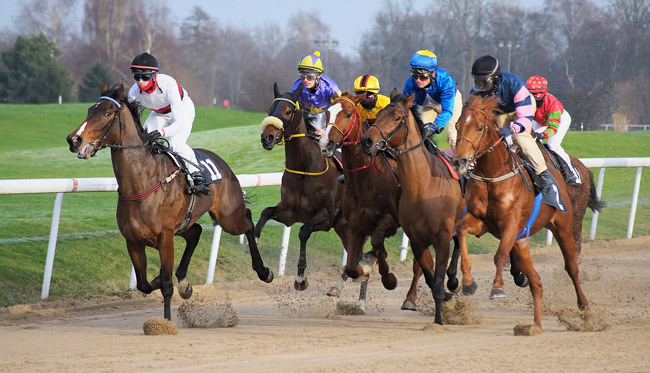 Probably the most advanced – but also most profitable – horse racing offer is extra places. If a bookmaker is paying 5 places compared to the race typically paying 4, you can back and lay close matches on the win and ‘To Place’ markets on Betfair and if your horse comes 5th, you will win your back and your lay bets for a big payout. On the 2017 Grand National, one of our horses came 5th at 80/1. This helped to net us over £1,000 profit from a single race. We had the entire field covered for a minimum £200 profit, but this horse was the best result imaginable. It was also possible to hit 6th place for an additional payout, but we weren’t fortunate enough to hit that. Whilst complex, extra places are a hugely profitable reload offer for intermediate to advanced matched bettors. Football offers are consistent generators of profit for matched bettors. The reason football is so good for matched bettors is that you can blend in with mug bettors incredibly well. 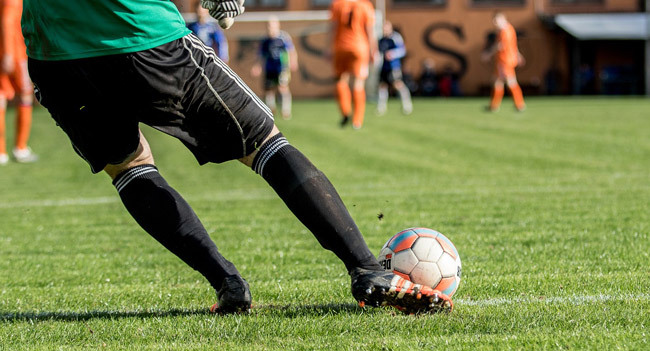 If you stick to high-profile football matches for all of your bets, you’ll likely receive very few gubbings – if any. You will commonly see bookmakers offering you a free bet IF something occurs in a game. This could be anything, from a match being goalless (known as ‘Bore Draw’ offers), ending in a draw, both teams scoring, a red card being shown, a penalty being awarded…the list is almost endless. You can almost always lock in profits – if you wish to – on these triggers. For example, if a bookmaker is offering a refund up to £25 if the match ends in a draw, you can back and lay one of the teams to win for a small qualifying loss. You can then place a lay on the draw to cover your loss or lock in a small profit. That way, if it’s not a draw, you won’t have lost anything. If it is a draw, you’ll have lost some money on the exchange but you’ll have a free bet to generate your profit from. Locking in profit is slightly less profitable long-term than letting the bets ride and hoping the refund is triggered, however, you remove variance meaning your bankroll continues to build and build. With almost any bookmaker offering acca insurance, you can generate a guaranteed profit. This is a process for intermediate matched bettors and above. We have a full guide written up on this if you wish to learn how to lay accumulator bets. These probably fall under the ‘trigger’ style offers listed above, but goalscorer offers are fairly frequent so we felt they deserve a section of their own. Many bookmakers offer refunds if your losing first goalscorer bet scores second, or scores at any point in the game. There are other offers (like Double Delight/Hat-Trick Heaven) whereby you will be paid out at double, or treble, odds if your player scores two or three times. This is just another example of betting reload offers that can be exploited for long-term profits. 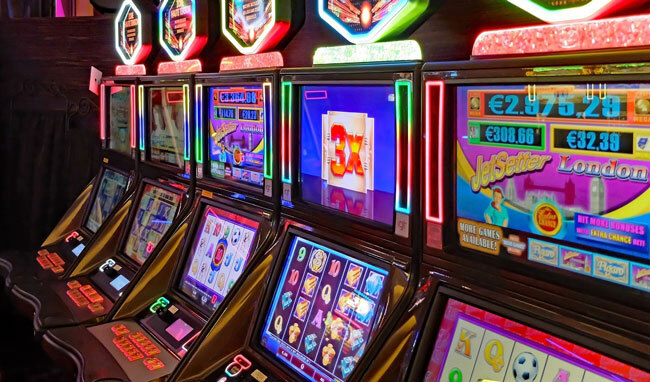 Casinos can be a great source of regular income for matched bettors. However, quite often there is some variance on these, so we don’t recommend casino offers for beginners with small bankrolls unless they’re risk free. Whilst you’re unlikely to hit any big wins with these, they’re great for beginners. Even if wagering is attached to them, if you have a completely free shot at winning some cash then it’s probably worthwhile taking – especially if you have a small bank. This is especially true when it comes to no-deposit offers, where you don’t even have to use real funds in order to play. You’ll rarely win – but when you do, it’s free. This style of offer is commonly offered by bookmakers that are trying to tempt you into using their casino product after you’ve already been betting on sports. Typically, with this reload, you will be able to opt-in to promotions like ‘£10 100% refund’ on the casino, meaning you can literally gamble £10 on slots and hope to win big. Once your balance decreases by £10, you leave and wait for the bookmaker to issue your refund. How much profit you make – if you make a profit – is up to you. If you’re a beginner, we’d say anything above £10 profit is worth banking. These are typically higher risk and we’d advise that you have at least a four-figure bankroll to even attempt the smallest of deposit bonuses with wagering attached. You’re going to need a £5,000 or maybe even £10,000 bankroll to begin to attempt these at scale. However, you can certainly do 1 or 2 a month with a smaller bankroll, and the offers throughout this post will easily pay for them. These deposit bonuses will often be things like 100% or 200% deposit matches up to £200, with anywhere between 20 to 70 times wagering (so if you have a £50 bonus, you would have to do £1,000 to £3,500 worth of spins). Some of these offers are very profitable long-term but we massively advise to stick to lower risk casino if you want to dabble in this area. If a casino is offering cashback on live roulette, this can be good long-term value for you – depending on the percentage of cashback being offered. If you’re offered 50% cashback up to £20 or something similar, this is exceptional long-term for you. To get the maximum cashback on the hypothetical offer above, we need to use a stake of £40 on a roulette spin or blackjack hand. To simplify things, let’s say your chances of winning at either of these games is 50% (although in reality your chances are slightly lower than this). This means that half of the time, you’re going to win your £40 game and return £40 profit. The other half of the time, you’re going to lose your £40 game and get £20 cashback. A net loss of £20. This means that every time you complete this exact type of offer, you should earn £10 on average. This is because you gain £20 profit for every 2 attempts with these figures. You will need luck on your side for short-term variance, but long-term – over hundreds of attempts – the maths should average out and remove luck from the equation. These could have been featured under the horse racing or football sections, but as they regularly occur on all kinds of sports, we’ve featured it here. All you have to do is lay off your bet at lower odds than you’ve backed. Much like arbing, except these won’t land you in too much trouble with a bookmaker…unless you complete abuse them, which is the same for any type of offer. This is a random one, but something many bookmakers do. To encourage you to bet whilst you’re on the move, there are sometimes offers available purely to deposit and bet via your mobile phone. Some bookies even offer separate promotions for all of the above. Pretty much every major sport has offers attached to them with at least one of the top fifty bookmakers available in the UK. This includes; tennis, rugby, NFL, golf – which also has extra places like with horse racing, snooker, darts and more. Any major sporting event is likely to become extremely profitable for you as a matched bettor. There are way, way too many types of reload offers to list in this post. Promotions die as sport seasons change and new ones come to life the following month or quarter. We currently recommend two main sites that list almost every single reload offer imaginable on a daily basis. Oddsmonkey (free trial here) – we recommend Oddsmonkey for those looking to make a serious income via matched betting on sports. 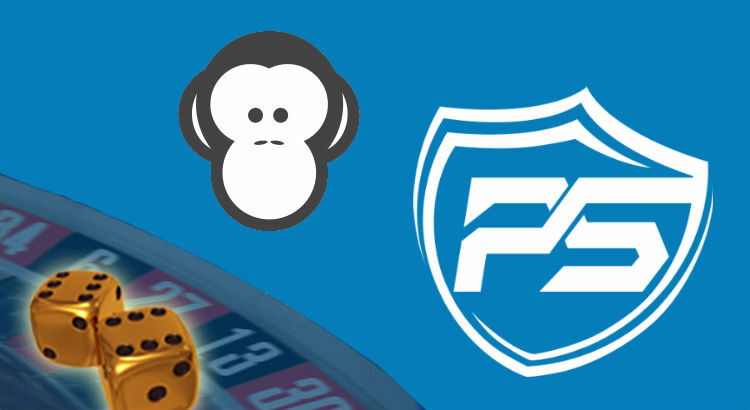 Read our full Oddsmonkey review for more info. Profit Maximiser (£1 trial here) – we recommend PM for those looking to complete a large number of casino promotions. Read our full Profit Maximiser review for more info. Both of the above sites list almost every reload offer so that you can log in each day and easily find what offers are available to you. Each offer will have instructions on how to complete it. There will also often be an expected level of profit listed – depending on the type of promotion. In addition to the above, there will usually be a forum thread for every single offer. This means that if you get stuck you can ask others for help, or you can see the tactics other people are using in order to make the best level of profit. You’re looking at just a few days worth of profit to pay for an entire year’s membership at any of the sites above, so they’re essential tools in any matched bettor’s arsenal. We'll show you the EXACT process we use to generate thousands in risk-free betting profits each year. The simple opt-in below could change your life forever. Seriously.